Ingredients Bread Mix: Whole Grain Sorghum Flour, Potato Starch, Cornstarch, Pea Protein Powder, Tapioca Flour, Sugar, Xanthan Gum, Sea Salt, Guar Gum. Yeast Packet: Yeast, Sorbitan Monostearate, Ascorbic Acid. Our Gluten Free Homemade Wonderful Bread Mix makes it easy to bake delicious sandwich bread, dinner rolls or hamburger buns at home. One package yields one 1 1/2-lb loaf. I bought this bread mix to try in my bread machine and it did very nicely, the bread came out very light. I used the basic bread setting and also checked the bread for doneness with my thermometer, perfect. This bread mix is the best I’ve tried for gluten free bread. Gluten free bread is never as good as wheat bread but this is fine and I do recommend it. Very simple to use and makes a great loaf of bread in my breadmaker. 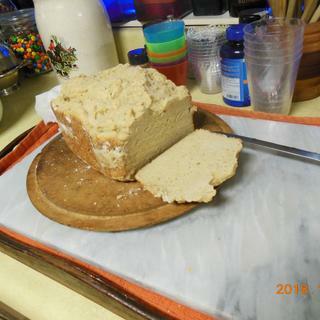 This is the first gluten free bread I made for me husband and he was hooked. I really liked the bread mix! I mixed the ingredients for about ten minutes, and put the batter in the bread pan. Then let it rise the full 60 minutes. Do not knead the dough. Popped it in the oven at 350 and in forty minutes I covered the bread with foil to prevent it from darkening further. The taste is delicious and the bread refrigerates well. I made toast and a tuna sandwich with it and it held together quite nicely. I’ll have it all week. Love it. Artisan quality and easy to make! I searched for a good gluten free bread for some friends and wasn't having much luck. Some were very difficult to make and some were more like cake. This mix is very easy to make and the results are gift worthy! Not only is it great right out of the oven, but this bread toasts very nicely. Definitely worth a try if you miss traditional bread! This is the first time I have made this mix. I found the bread to be pretty dense and too moist for my taste. Perhaps the whole egg should be left out next time. 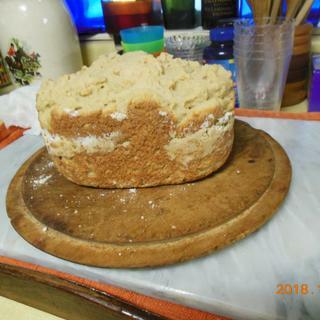 Anyway, I am willing to try again because I have tried to make from scratch gluten free bread and had little success, so this is a little better than that. I does smell nice when being baked. Easiest bread to make and the tastiest gf bread we've eaten. We’ve used this mix for years. We just have a hard time finding it at the grocery. Ordered online and received it in a week. Despite the work involved in making bread, this is the BEST gluten free bread mix that I have ever had. It is super easy to follow the instructions and it tastes like actual real bread. Its soft in the middle and nice and crunchy on the outside. It was perfect with a little slab of butter. I highly recommend! I have been making this bread for a long time. I bought it at my local Kroger Store in Toledo, Ohio but they no longer carry it which was extremely disappointing to me. So glad you ship for free. I bake one loaf a week for my son. It is so good that even though I do not eat gluten free I would eat this bread. I make it with egg replacer and rice milk. Better than any bread from a gluten free bakery!! Our first time out with the bread mix, and it was excellent - just as delicious as the cornbread mix. Had a little trouble getting the internal temperature to 210 without overdoing the crust, but the bread was just like old-time homemade in texture and flavor. And the toast the next morning was perfect. Will try some round iterations to be more like artisan loaves, which my neighbors love. But it’s by far the best we’ve had since going gluten-free. My husband and I love this bread! It's so good with olive oil! And really easy to make! Our church uses gluten free bread for communion. We have tried a number of brands, both premade and mixes, and Bob's Red Mill makes the best by far. The taste is very good, and the consistency is excellent for worshippers to break their own portion from a common loaf. (Others are too crumbly.) Thank you, Bob's Red Mill! Wonderful bread mix and easy loved it,thanks. Thank you so much for producing this! It is the most wonderful bread I've ever eaten! The bread is wonderful. Because of the egg whites high in protein also. The bread is wonderful. The eggs whites add extra protein. It toasts well after defrosted. I store in the freezer. To store I slice after completely cool, than slices between wax paper in freezer bag. I use canola oil so it doesn’t stick as much after baking. I have experienced only positive results with Red Mill products. This is the only gluten free bread my son likes to make a sandwich with. He has tried different gluten free breads but says they have no taste or it’s like eating paper. He loves this bread! I have to eat 'gluten free' so several years ago I tried "Bob's Gluten Free Bread Mix" and it was OK ,but I really didn't like the taste that much.....Tried it again in November and WOW so great. This bread turns out a consistent loaf. I like to line the pan with sesame or flax seeds so the crust has the seeds I miss in wheat breads. I purchased this bread mix in the summer for my daughter, who can't eat wheat. 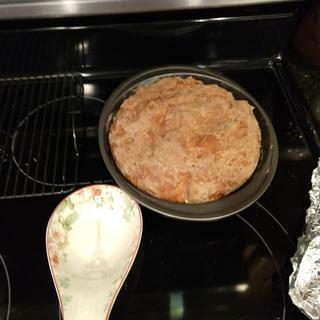 It rose and baked beautifully, and thankfully had directions for hand mixing with a wooden spoon as well as the paddle attachment for a mixer. Unfortunately, it didn't taste right to either of us. There was a heavy bean flavor to the bread and with my child being picky about taste, I may not purchase this particular mix again. My daughter can't eat wheat. It is so hard to find good premade gluten free bread at a descent price so I figured it was time to start making my own. My mom recently went gluten free and has been make the wonder bread for some time and told me about it. I am glad she did, I can now have really good bread that is not like eating air. Great bread, you will love it. 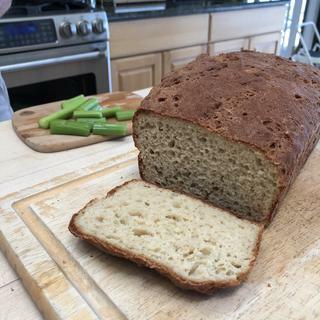 The word “wonderful” describes this delicious gluten free easy to make bread! It is absolutely worth the time, the consistency is delicious! I could not believe how delicious the bread using the egg replacer. Outstanding vegan bread. Easy instructions with a delicious result. Wonderful GF bread—great texture, taste, and quality ingredients. I highly recommend this product. Bob’s Red Mill GF flours are my favorite. I love that they are processed in a dedicated gluten free facility, the recipes are detailed and precise (obviously tested and perfected before printed on the bag), and always yummy. The homemade bread mix is no exception. The bread is delicious as well as cost-effective (and fun!) to make at home. I've always struggled with yeast as a baker, even with regular wheat flour, but I’ve had no problems with this one. Thank you Bob for providing this for our family! We love all the products we’ve used so far. Gluten free diets can be easy till you are doing breads & baked goods. These products make it so easy for my husband to have his bread, cakes & cookies & eat them too while keeping his health in check due to Celiac disease. Lil Bob is in my kitchen! Making my life easier. It was a while ago that I made this bread, but I remember using a vegan egg alternative and it turned out really well. It tasted so good it was eaten up really quickly. The bread is easy to make and results in a "normal" size loaf of bread, as opposed to commercial GF breads which are tiny with tiny slices of bread. The taste and texture is just like wheat bread. This will be the only bread I use from now on. I have a degree in Baking and Pastry from Johnson & Wales and after looking at the list of ingredients on the gluten free bread dough package, I thought no way this mixture would make a good loaf of bread. Was I ever WRONG!. I made the bread for my 3 year old grandson who was recently diagnosed with a gluten intolerance. He LOVED the bread. I tried some and it was delicious. I can't wait to try the other gluten-free products. MY daughter and son are gluten intolerant. 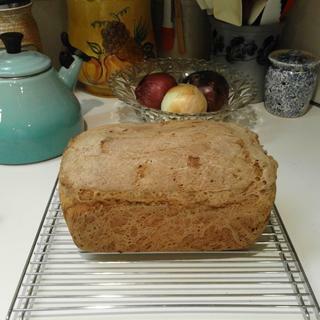 It has been my goal this fall to be able to bake gluten free bread at home. So I bought a bread machine with a gf option and began my adventure. I began with a 1 for 1 flour and didn't have good results. I then saw Bob's Redmill had a gf bread flour mix...so tried it today. I made a few changes to the recipe on the package as I have grand kids that need to be egg and dairy free. I used 1 1/2 cup ginger ale instead of the water. Then for the egg substitution I used the following: 1 T ground Flaxseed, 1 T Chia Seed, and 1 T ground psyllium husk. I mixed those with the 1/2 cup + 2 T water and set aside for 5 min to gel. I then proceeded to follow my bread machine instruction by putting in the wet ingred from the recipe - including the egg replacement. The package of Bob's Bread Mix came next and ended with the yeast on top. I set my machine for a 2 lb loaf (even though it is a 1 1/2 lb size) med. crust and my gf setting on my machine. The loaf came out great! It has a good taste and texture. Even one of my non- gluten free family members liked the bread. For me it was a winner and will make again. This is a great bread mix! Not a lot of time & effort to make. Tastes great for my gluten and non gluten friends and family. Tastes great with or without accompaniments. This bread rises beautifully, and it, by far, the one of the best GF breads on the market! The bread is so moist and delicious. I don't really need to eat gluten free, but this is the best bread mix gluten free or not. I tried this the old fashioned way with out my bread maker and was very easy. Not a lot of prep time, mix in a bowl, let it rise and in the oven, It came out golden brown , was very easy to slice for toast and sandwiches. i just bought 6 more bags to have now the cold weather is here as nothing smells better than fresh bread. Simply the Best Gluten Free Bread ever !! Right amount of sweetness and delicious. Use it alone or mix it with other flour types; anyway works! My kids just got diagnosed with Celiac disease. The breads on the shelves are horrible. Bob's wonderful bread mix is amazing though. My kids love it. 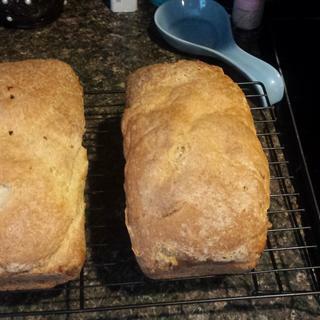 I have enjoyed using the Homemade Wonderful Gluten Free Bread mix. It makes delicious bread for toast and sandwiches and is very convenient and reasonably priced. It smells so good! I would recommend this bread for its value and the way it makes up in a bread machine, but it does have a strong yeast taste that I did not like. This was our first pre-made mix for bread that we had tried after going gluten free. We enjoyed it and it had the texture and taste of “real” bread. I personally think it had a very strong yeast taste compare fro what we used to eat, but definitely survivable to enjoy bread again. I did not make the bread. It has sugar in the package. My mistake for not reading the ingredients , not Bob' Red Mill. Very long time, do not remember the date. Of the products I ordered recently, this is my favorite. My family is slowing adjusting to gluten-free eating with some recently discovered food sensitivities. Bread has been a difficult find for us, and I'm happy that I found this mix. The bread is really good the day it's made. Unfortunately it doesn't store well (it's just ok after slicing and storing in the freezer, then defrosted and reheated in a toaster oven), but this might be an issue of all gluten-free breads. With my hubby eating gluten-free, it's been a challenge to provide him with all the foods he enjoys. Bread has been one of the most difficult things to replace because nothing rises like gluten breads. I was hoping the dough for this would be more like regular bread, but it's more of a thick batter. Can't roll it out to make doughnuts, cinnamon rolls, hamburger buns, etc. BUT I believe I'll be able to add cinnamon and raisins to the batter to create cinnamon bread. I hoping that by placing the batter in a casserole dish (higher sides than a cookie sheet) in individual scoops and allowing them to rise, they might make reasonable hamburger buns. This bread turned out very well. It didn't rise much during the rising period, but it continued rising during baking and nearly doubled in height, which makes it good for sandwiches. The exterior turned out quite a dark brown in the 90 minutes of cooking, but the interior was light, fluffy and had an excellent texture. We'll be ordering it again! Tastes okay. Nice and soft. Best if eaten while warm. I love this product! Whenever I need to make bread quickly, or for friends and family who need gluten-free meals, this is the first thing I think of. It's the easiest bread I've ever ever made and I like to make bread from scratch! Thank you for providing an easy to make and delicious bread mix that takes the guesswork out of baking when we're tight for time! 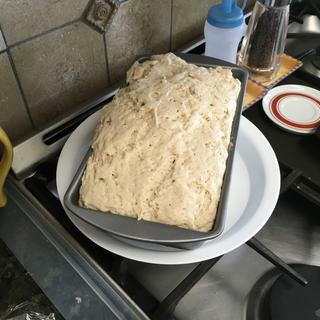 If you’ve tried making various GF breads before, you know it’s a nightmare. If you’ve been buying GF bread, you know it’s impossibly crumbley and is bland beyond belief. Bob’s Homemade Wonderful GF bread however is fail safe (trust me, if a recipe can be burnt, I’ve been there!!!) I’ve made this loaf on numerous occasions without issue. Smells inviting, tastes yummy and has nice texture and rise. It also doesn’t disintegrate when cutting. Freezes well, I slice and put baking paper between slices for expediency when reheating. GF and anaphalactic to egg, nuts, berries. I made this bread in my bread machine in the manual mode. It turned out great. I don't think it needed the full mixing time. So next time I will either shorten the mixing cycle or mix in the food processor or by hand. Very nice tasting bread. This bread turns out great every time! I would prefer if it didn't require as many eggs, but that's all that I would change. The prep is quick and easy! Sounds great and need gluten free. The mix is good for my bread maker and taste better than store bought breads. I baked this today for my sister who has celiac disease and it is the very BEST GF bread ever!!!! it never did reach 210 F as recommended and it baked for 1 hr 45 min, I covered it with foil , it still came out perfect. it was one do the best GF breads I've tasted, store bought or homemade, the is like "normal" bread. I LOVE IT !!! My husband wanted a fresh GF bread option. I've made this before and it is a great product. I will serve some rolls with GF spaghetti. I enjoy making my own bread from scratch but haven't tried Bob's yet. Thought I'd give it a go. I host a retreat and I have many attendees who are gluten free and others who support those who do eat GF. Also, I have bought this before from Amazon, but they keep telling me this product is unavailable. When you smell this home made bread you can't resist to taste it. Its taste wonderful !!! This bread is delicious! I throw it in my bread maker and let it do it's thing. I can cut nice, thin slices of bread that don't fall apart, look like regular bread, and toasts up perfectly! This bread makes g-free life so much easier!!! My first experience with Gluten Free Homemade Wonderful Bread mix was reading the label. I noticed the ingredients would be perfect for my diet needs. I made the bread a few times.The method I used was to bake the dough in a traditional rectangular bread pan. The result was a solid loaf without sinking in the middle. I used an instant read thermometer to test doneness. Paninis are great with this bread. Such good luck with Cornbread that I wanted to try this bread. Easy to make and great taste. Freezes well, after completely cool put wax paper between each slice and put in freezer bag. Ready when needed. Firstly, I am allergic to gluten. Secondly, It makes a loaf of great tasting bread and it's very simple to make. Each package is pre-measured and comes w/ the yeast. All you have to add are egg whites and water. Had this bread at family's and loved it. And, yeast is enclosed! It is high in protein and delicious! My son has Celiac, this is his favorite sandwich bread. I am excited to try this product! 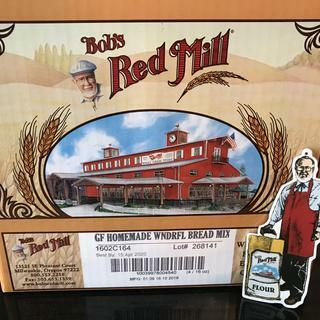 Every other Bob's Red Mill product is excellent!! I have a family member who is sensitive to gluten. I made bread in our bread machine some time ago, using a Bob's Red Mill mix, and it was delicious. I hope this is the same mix, because I need bread for the holidays that we all can eat. I can't write a review until we have tried it. Best GF-DF Mix on market. Tried and true. I vary the recipe a bit. Love this product! Great flavor and good texture for gluten free. I don't make enough bread to keep all the baking products on hand, without losing quality, so this is the solution for me. Have made most of my own bread for 60 years. Now that I cannot have gluten, trying new recipes and mixes that will fill in. This is an all around good, basic and easy GF bread. It makes it easy to keep bread in the house with growing kids - and it costs less than any grocery store near us! This mix makes the best gluten free bread I have ever tasted! Makes a good sandwich bread for a grilled cheese sandwich. I chose this because I am allergic to both wheat and rice. This is the best mix for bread I have come across so far. My 10 year old son is newly diagnosed with Celiac and so I'm looking for options for him for breakfast. I work a lot and need help going gluten free, store bought breads GF are awful. Makes a great loaf of bread really fast. need gluten free options and a lot of our stores don't sell them anymore! 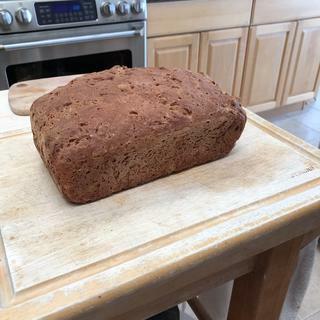 Bob's Red Mill gluten free bread mix makes a delicious loaf of bread; cannot even tell it is gluten free. I have a gluten-free kitchen at my pizza shop and this is part of my recipe GF flour mix. Best gluten free bread ever!!! This is the first good GF bread I have had! I recently tried this for the first time, and it is wonderful. I made it in my bread machine (added all liquid ingredients first, then added the dry ingredients), and it made a perfect loaf of bread that tastes great. Makes great gluten free bread; simplifies gluten free bread making. This is my favorite gluten free bread mix. May I use this in my bread maker? For use in a 1-1/2 lb bread machine, use a cycle with a 10 minute mix/knead, a 60 minute rise, and a 90 minute bake or until an internal temperature of 210°F has been reached. Only one rise is needed for gluten-free breads. Can I use this mix in a bread machine? BEST ANSWER: Yes, most certainly. I mix up the wet ingredients in a bowl by hand and then add 1st the wet ingredients to the bread machine pan, then the dry ingredients and lastly the yeast. Then, after turning on the machine which kneads the dough really well there are 6 beeps and I can take it out and put it in a regular bread pan to rise. Can the flour be used for cookies? BEST ANSWER: This is bread mix. I'd suspect the cookies would be heavy if you used this. I use Bob's 1:1 for cookies with good results. We have 4 GF people at my house and go through a lot of baked goods! Can I add some steel cut oats to the mix? BEST ANSWER: Of course! It is fun to experiment adding fiber and nutrition with whole grains like oats. Usually you need to add a little extra fluid (milk, water, egg, melted butter or oil, etc.) You can also soak the steel cut oats to soften them before mixing them in; and then make sure you have time for a nice long rise, which also allows the hydration of the oats. I also mix this bread mix with the Bob's Cornbread mix--the combination of yeast with the baking powder/soda leaveners of these two mixes, with a longer rising period makes a great dinner roll. I really do not know if steel cut oats could be added. Steel cut oats need to absorb moisture. This mix is a complete mix as is, adding steel cut oats make result in a dryer product with hard nuggets of oats that did not absorb enough moisture. You could try to add a small amount of steel cut oats to your next loaf of bread. Best of luck! I am not sure. I used it in my bread machine. It didn't come out great but it was still good. I use a zojirushi machine that has a pause in baking for added ingredients. I'd think adding 1/3-1/4 cup during that cycle would work. If the oats are precooked I'd make sure they were as dry as possible. I’m sure you probably can. The oats would be really good in there. I may try it next time I make a loaf!! I have not tried it but I would think that adding more dry ingredients might make the bread less moist. Can this be used as a base for a sweet dough, like for cinnamon rolls? BEST ANSWER: Why not. I would add some cinnamon directly to the dry mix before adding any liquids. This way the entire dough has that sweet taste of cinnamon throughout the rolls. Use a little egg wash over the top of the rolls when they are proofing,and sprinkle a little cinnamon sugar on for an extra blast of flavor. Yes, the secret is use your bread maker and set to dough cycle and repeat this cycle again, the dough will come out soft and pliable for rolling and cutting out the rolls. Best answer, not sure of the bread mix, BUT i did have good luck with the instructions for cinnamon rolls using the pizza dough mix. I would probably say no. Only because it's a rather dense texture and earthy taste. Of course you could always try though! Can I use this bread mix in a recipe as a substitute for bread flour? BEST ANSWER: It may be tricky to use this mix in a bread recipe for flour made with wheat bread as gluten free yeast breads often require a different mixing/rise schedule, and often include more water and the addition of eggs to give the bread a nice texture. If you'd like to make gluten free bread, we recommend using a recipe that is meant to be gluten free. Maybe. I believe that this bread mix may have leavening ingredients in it which may affect your recipe. I’ve used it some recipes with success but others, not so much. I suggest using the gluten free all purpose flour as a more reliable substitute. I really don’t think so. I’ve never tried it without the structure of the egg whites and the recommended ingredients for the bread mix. If you did, how did it turn out? Keeping in mind that the ingredients may affect others in your recipe (salt, sugar etc), I think it would work OK.
How do I make this bread dairy free? BEST ANSWER: Not sure; you might be able to use almond milk in lieu of cow’s milk. Adding in fresh herbs and Parmasan cheese was recommended. To make rolls using the 16 oz package of bread mix, how much herbs and cheese? BEST ANSWER: It would depend a lot on your preference, but we may suggest 2-3 Tablespoons of fresh herbs and up to 2/3 cup of Parmesan cheese. We hope you enjoy the mix if you try it! Sorry, can’t help! We add herbs, but use it for our restaurants and buy the 25# bags. Can you make pancakes out of this mix? if yes, please share a recipe! Sift together dry ingredients. Combine egg, milk, veg. oil; add to dry ingredients, stir just till moistened. Bake on hot griddle. Makes about 8 four-inch pancakes. No you can't...Bob's makes a GF pancake mix that works great for both pancakes and waffles. I highly recommend it. What internal temp does gluten free bread need to be baked to? BEST ANSWER: Bake until the crust is a deep golden brown and the interior temperature reaches 210°F. i took it out at 208 degrees. but the bread was brown on the outside and inside. the crust was so tough i could not get a knife to cut it. i used a dark pan, would glass loaf pan work better. Can I use a gluten free sourdough starter with this? If so, at what ratio? Thanks! BEST ANSWER: You should be able to incorporate your starter into this mix, but you would need to adjust the amount of water and dry mix that you use to compensate for the starter that you're adding. For instance, if you want to add 1/2 cup of starter, we may suggest reducing both the water and the dry mix by 1/4 cup each. We hope you have great results and please let me know if we can help you further. Since going gluten free, I really miss Limpa, a Swedish Rye. Could I add molasses & caraway to this mix to try & recreate it? Is there a recipe where i can use this mix to make bread without eggs and dairy? BEST ANSWER: We don't have a tested recipe for making this bread without eggs, but you can replace the butter with oil. Replacing the eggs can be tricky because so much of the rise and texture in the bread can be attributed to the eggs. If you'd like to replace the eggs we may suggest using Aquafaba (see link below) or a Gluten Free Egg Replacer powder like the one that we carry. We hope you enjoy the results! What is the measure for the yeast in teaspoons? BEST ANSWER: Thank you for your question. Each yeast packet contains 2-1/4 teaspoons of yeast. We hope you enjoy the bread mix! Does it really take 90 minutes to bake? Mine looks done after 60 with tented foil. No way to measure internal temp. BEST ANSWER: Thank you for your question. Ninety minutes is what we've determined works best for the internal temperature to get to 210°F. If the bread is under-baked, the center may be a bit gummy. Depending on your oven, the bread may finish baking a little sooner, but using a thermometer to check the internal temperature is the best way to tell if it is done. We hope you have good results and if you had any issues with the bread, please feel free to contact us at customerservice@bobsredmill.com so we can help you further. can this mix be made in a bread machine? How would you make hotdog or hamburger buns? Time to bake, how many would it make, would you need a pan or form or just a shape on a cookie sheet?